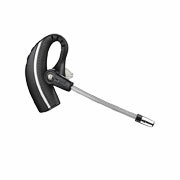 Plantronics CS500 Series of Wireless Headsets - Headsets Direct, Inc.
Wireless Technology In A Variety Of Wearing Styles! 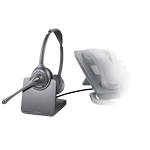 Plantronics for over 50 years has pioneered the lightweight headset, the mobile headset, and noise-canceling technology, always driven by a single obsession: Remove the barriers to smarter communications. 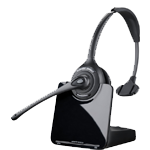 Just give us a quick call at 1-800-914-7996 or order online by clicking on the desired model. You can have approximately 38 units in one area without performance issues. As you exceed 38 CS540’s, your roaming distance will diminish with the more units you add. Since every office is different in spacing, density, and active units, the number varies per location. We’ve prepared short videos to make setup take less than 10 minutes. After the first couple days of use, you will never want to work without it again!